Raffaele Vaira was born in San Giovanni Rotondo, Italy, on 7th February, 1986. In December 2010, he received the B.Sc. degree in Electronic Engineering at the University of l'Aquila with a thesis entitled “Ricevitore per segnali BPSK tramite Costas Loop”. In July 2016, he received the M.Sc. degree in Electronic Engineering at Polytechnic University of Marche with a thesis entitled “Analisi delle proprietà degli algoritmi di decodifica OSD” (supervisor Prof. Franco Chiaraluce). 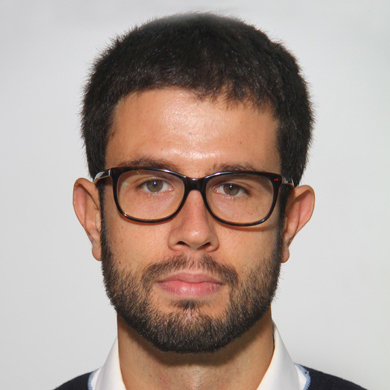 Since November 2017 he is in the PhD School at the Polytechnic University of Marche, under the supervision of Prof. Emanuele Frontoni.